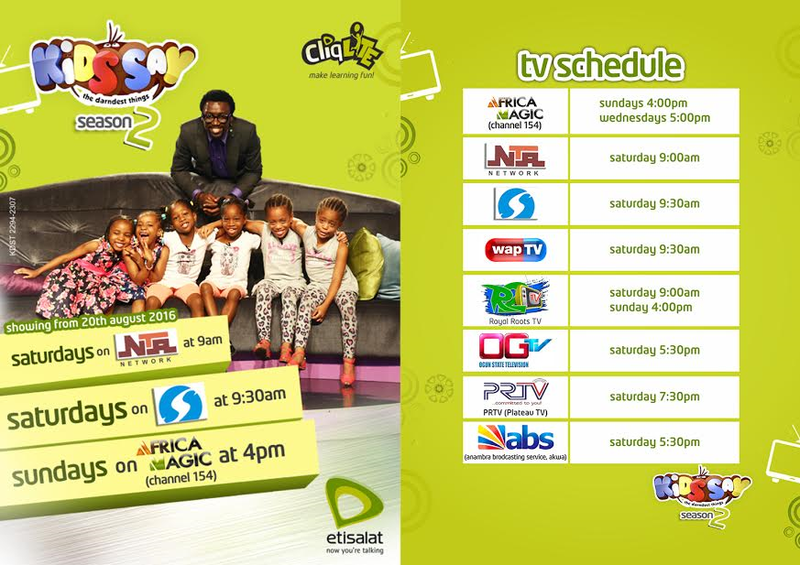 It was an unscripted session as Season 2 of Kids Say the Darndest Things (KSDT) hit the television screens last weekend keeping families glued to the tube as they watched Nigerian children in their elements make some of the most witty and intelligent comments and suggestions. The first episode of this show poweredby Cliqlite from Etisalat Nigeria and is aimed at giving children the opportunity to express themselves in an unscripted and unrehearsed format. This weeks standout kid on the Standout Kids Segmentwas Joshua Akinotan, an 8-year-old pianist who delivered a virtuoso performance as he played one of Ludwig Van Beethoven classics Fur Elise from a Grand Piano. 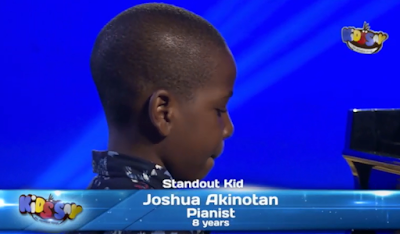 He started playing the piano from the age of oneand what is also amazing is that he can read music notes therebygiving him a firm grasp of the musical landscape. In a segment called Ask the Experts, children examined old technology and explained what they thought the different items were used for. On display to test their curiosity was a polaroid camera, a turn table and VHS camera. 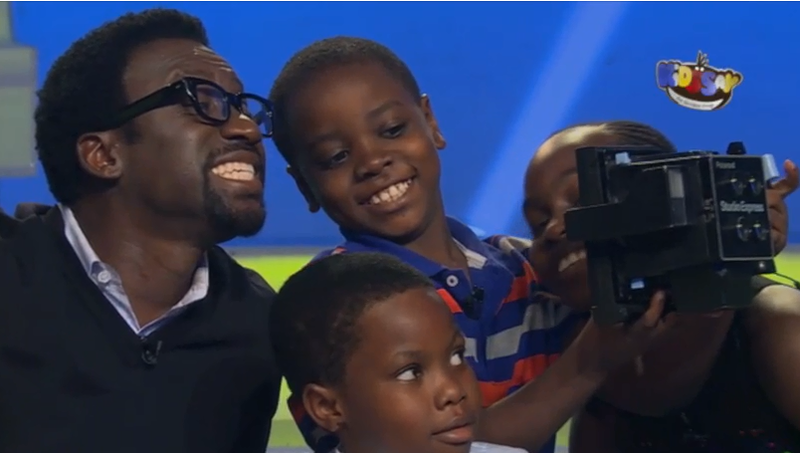 The highlight was when they tried to take a selfie with the host Tony Okungbowa using the polaroid camera. Very hilarious. 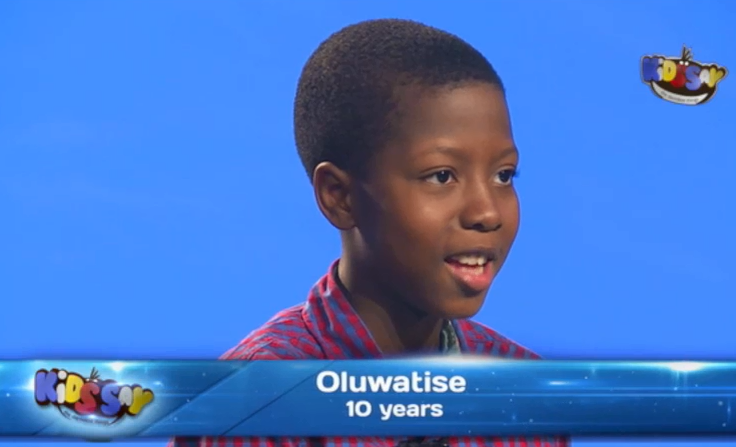 10-year-old Oluwatise made viewers laugh so hard and had his mom stammer a bit when he accused her of having a lot of money but claiming not to have any when he asked. He said she could buy clothes and shoes for herself but claim not to have any money for him. 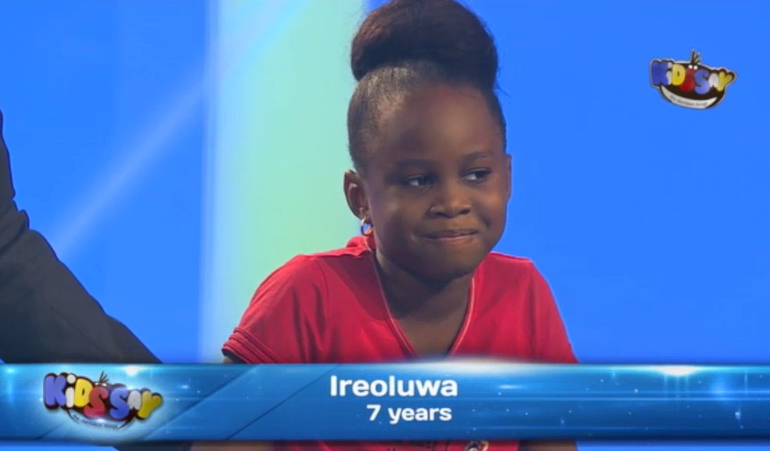 Finally, outspoken Ireoluwa who is just 9 years old, was asked what advice she will give her parents concerning her and was quick to say Whenever my parents are talking, they say I should not talk, so when I am talking to one of them, the other one should not talk. Wow! The children showed the depth of their knowledge concerning security threats and encouraged other children not to go out unaccompanied to avoid kidnapping. To see more exciting moments from yet another KSDT episode to cherish, viewers should tune in to NTA Network (Sat.9 am), STV (Sat. 9.30am) and Africa Magic, Channel 154 (Sun. 4 pm and 5pm on Wednesday). Others are WAPTV (Sat. 9.30 am) OGTV (Sat. 5.30pm), PRTV (Sat. 7.30pm), ABS (Sat. 5.30 pm) and Royal Roots TV (Sat. 9 am & 4 pm on Sunday).